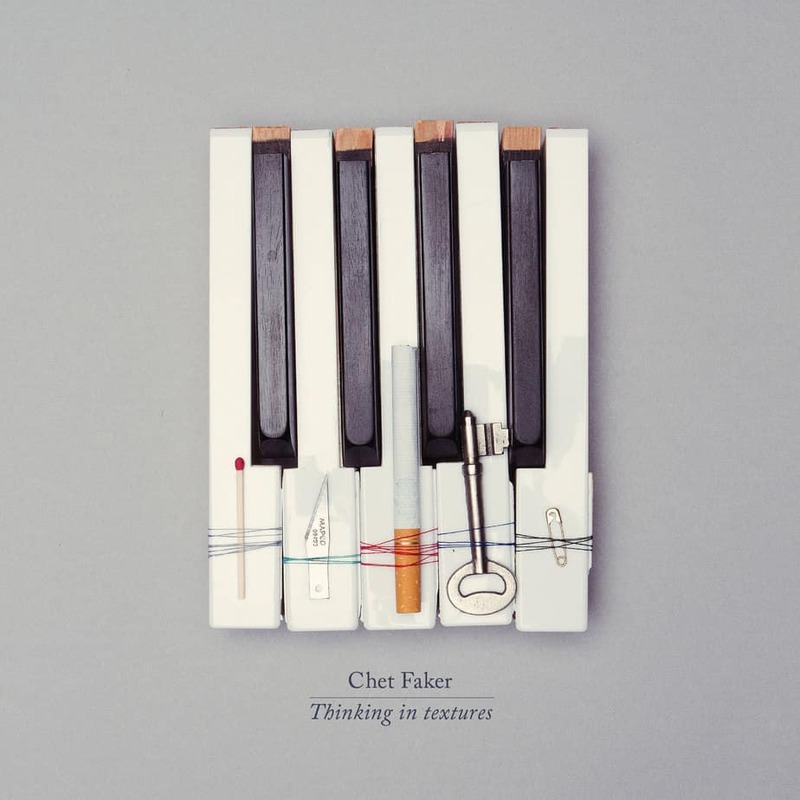 Chapter four is the first chapter in part II of the book. Part II focuses specifically on Jesus, his death, and how the Gospels not only continue in the trajectory of the Old Testament regarding sacrifice, but how they end up being the ultimate critique of the system. Jesus’ ministry, death, and resurrection can be seen as the climax in the story about sacrifice and God’s willingness to enter into our (violent) system in order to save us from it. In chapter four, Heim specifically targets the passion narratives, which include the events leading up to Jesus’ death and the crucifixion itself. Jesus’ death and the way it is particularly unique because the Gospels seem to contradict themselves in the treatment of the whole affair. Heim says, “Jesus’ death saves the world, and it ought not happen… it is a good bad thing” (108). The Gospels are actually pretty clear about this, and anyone who has read them can attest to this fact. For example, Jesus says, The Son of man goes as it is written of him, but woe to that man by whom the Son of man is betrayed! It would have been better for that man if he had not been born” (Mark 14:21). How can Jesus rebuke the chain of events leading up to his death if he is completely aware that it is something that must be done “according to the will of God”? Heim contends that this contradiction found in the Gospels doesn’t make sense in the penal substitutionary understanding of atonement. However, it does make sense in light of Girard’s scapegoating theory of sacrifice. If scapegoating is an evil that still brings about reconciliation in the community, it is quite plausible for God to enter into this system, both using it and revealing it for what it really is – thus turning the system on its head. [Girard] found [in the Gospels] all the classic elements that characterize sacrificial myths: the crowd coalescing against an individual, the charges of the greatest crimes and impurities, the scapegoating violence, the desire for social peace. But he was startled to recognize that the reality of what was happening was fully explicit, not hidden… This time it was told from the point of view of the victim, who was unmistakably visible as unjustly accused and wrongly killed (110-111, emphasis mine). This is the point, the climax to the story of scapegoating. It is the ultimate revelation, the splitting of the veil, the light piercing the darkness. Some of the critics of the Gospels and the Christian faith will focus on the particular brutality of the Gospels and the death of Jesus, noting how violent they are – particularly because the most violent part of the story is the central focal point for many of those in the Christian faith. It seems as if Christians venerate a particularly brutal, tribal, violent God. The fact is, however, if it didn’t show its violence outright, it would do no more than the other myths did for scapegoating. The Gospels, in their unwavering gaze upon the violence done to the God-man, do what none of the other myths could have done. They are the ultimate deconstruction of the violent systems that we uphold. Furthermore, Heim argues that the fact that our culture can look at the Gospels and point out the violence within is actually a testament to their effectiveness! Our culture, our world, has been forever changed by the demythologization of scapegoating found in the story of Jesus’ life, death, and resurrection. “We would not accuse the Gospels of victimization if we had not already been converted by them… We would not look for scapegoated victims in every corner if the magnifying glass of the cross had not become second nature for us” (113). As the story of the crucifixion maintains clarity about the forces that lead to Jesus’ death, so the resurrection of Jesus decisively explodes an possibility of mythologizing it. This victim does not stay sacrificed. The story of his death will not be given over to mythical memory, for the persecuted one will return to give his own witness (127). The end of Mark’s Gospel is telling in this regard. After the three women find that the tomb is empty, Mark 16:8 says, “So they went out and fled from the tomb, for terror and amazement had seized them; and they said nothing to anyone, for they were afraid.” Why the fear? Why wouldn’t they be elated that their teacher was no longer dead, but alive? Their terror at the thought of Jesus’ coming back only makes sense if we understand sacrifice in the way it actually works. Jesus’ death was meant to bring about reconciliation for a community under pressure and conflict, a community looking for an innocent scapegoat. Jesus should have been (and was!) that victim. His return, however, presents a monumental problem. The peace that the community hoped to achieve by Jesus’ death could not hold if the victim returned. “If Jesus really was coming back, with divine support, no one could comfortably look forward to that meeting, knowing what their own roles had been in relation to the crucifixion” (ibid.). In fact, Jesus’ resurrection brings about the opposite of what his death was intended to do. Instead of the unity normally created by the community’s sacrifice, the resurrection of the Christ brings about division. This is not a vengeful kind of division, as if the those close to the victim seek retribution; instead, the new kind of community created is one that “rejects both the sacrificial violence that killed Christ and the contagion of revenge that the sacrificial system existed to contain” (128). Christ’s death and resurrection, in this view, are not meant to be taken as an affirmation of the system of sacrifice, as if all of the sacrifice before was just in place until God came along and gave the right kind of blood once and for all. Instead, Christ’s death and resurrection are the ultimate critiques of a failed system. Christ, the God-man, is revealed as the ultimate victim; he enters into the system – not to affirm it, but to destroy it. This entry was posted in Atonement, Book Review and tagged atonement, Christianity, crucifixion, death and resurrection, gospels, Religion, rene girard, s. mark heim, sacrifice, saved from sacrifice, scapegoat, Theology on March 28, 2013 by Anonymous Theologian. The last post about S. Mark Heim’s Saved from Sacrifice focused on chapters 1 & 2 of the book, which discuss some of the difficulties in talking about the atonement in our current, modern society, and specifically how the language of ‘sacrifice’ is virtually unintelligible to us because of the cultural and religious differences that exist. Another important piece of the ‘sacrifice’ puzzle comes from being located within the Judeo-Christian tradition. Those of us who grew up in a tradition that focused on penal substitution as the defining mechanism of Jesus’ death and resurrection will have enormous difficulty seeing the Hebrew sacrificial system as anything other than substitutionary in nature. Heim’s suggestion, however, is that looking at the Hebrew sacrificial system this way is to read our own cultural and religious biases into the text. In chapter 3, he takes the wide swath of the entire Hebrew Scripture and (I think successfully) attempts to use Girard’s model of violence and scapegoating to explain the what was happening in the sacrificial system. In doing so, he takes biblical inspiration seriously while creating a path towards a non-violent atonement in the death and resurrection of Jesus. In chapter 2, Heim also pointed out that for the sacrificial scapegoating system to really work, the victim (or ‘scapegoat’) must remain ‘invisible.’ The use of myth in most (all?) religions generally helps to do this. They tell a story about why sacrifice is useful or necessary, usually from a cosmic standpoint, thus giving the community an excuse to use myth without fear of consequence. Further, each time the scapegoat is sacrificed for the sake of the community, he/she/it cannot be seen as actually innocent or victimized. Otherwise, the true nature of scapegoating becomes unveiled, causing the mechanism to unhinge. “Texts that hide scapegoating foster it. Texts that show it for what it is undermine it” (64). The interesting thing about the Judeo-Christian narrative (not that it’s that simple or cohesive) is that its texts actually begin to bring the scapegoating theme to the forefront. Put another way, the Old Testament – in some instances – reveals scapegoating for what it is: the victimization of the innocent for the sake of communal reconciliation. This is part of the reason why many see the biblical narrative as ultra-violent and wonder why. How could Christians, whose primary leader was radically non-violent, worship such a seemingly barbaric, tribal, violent deity (the one seen often in the Old Testament, particularly the conquest narratives)? Heim’s answer is that the violence shown in the text isn’t coincidental, but necessary, especially if humans are to be shown how scapegoating is ultimately harmful and evil. In answer to the question, what is violence doing in the Bible, Heim responds: “It is showing us the nature of the mimetic conflict that threatens to destroy human community,” and “…certain characterizations of sacrificial violence and God’s relation are a crucial part of the whole narrative… They are a necessary part of our understanding, even while they are not themselves a sufficient model for our behavior” (103). Unlike myth, which can ‘sweep over’ the evils of scapegoating, the Bible offers vivid pictures of violence so that victimization cannot be even implicitly affirmed. All that said, let’s take a look at some of the places where mimetic rivalry and sacrificial scapegoating (and its critique) are featured in the OT. Interestingly, unlike other creation myths, the Genesis creation account is noticeably non-violent. While other myths might include gods cutting other gods in half to create the world or something similar, “the Bible insists that the true origin is a nonviolent one” (70). Nonetheless, three chapters later, Adam and Eve’s ‘fall’ handily demonstrates why humans need sacrifice, as their casting out of the garden can be seen as a type of sacrifice in order to restore peace. In the next scene, Cain and Abel also shows mimetic rivalry in explicitly “antimythical terms” (71). While Abel’s blood sacrifice is accepted, God “has no regard” for Cain’s non-animal sacrifice. While some of the implications of this are unclear, what IS clear is the existence of jealousy that leads to murder, showing the beginning of the downward spiral of violence post-fall. From here, we see God promise Cain he will be avenged sevenfold if he is harmed, to Lamech who says he himself will be avenged seventy-sevenfold. Further along, God regrets the creation of the world because of the violence and immorality found in it. Even God participates in the cycle by destroying the world to start over, explicitly affirming using violence to fend off violence. Here, in clear terms, mimetic rivalry and violence show their ability for destruction. After this, God promises Noah, in Genesis 9, that this would not happen again. “Whoever sheds the blood of a human, / by a human shall that person’s blood be shed.” This is roughly equivalent to the “eye for an eye” phrase most of us are familiar with. God’s command about vengeance in this scenario, however, leads to “a dramatic de-escalation” (73) of the violence in previous stories. This leads us to the territory of sacrifice: “From a world of wholesale violence we have entered the realm of proportioned violence, the realm of sacrifice” (ibid.). Most people understand, at the very least, that sacrifice plays a prominent role in the Old Testament. This is true, not only in Leviticus (where nearly the entire sacrificial system is laid out), but is then continually referenced in the remainder of the OT canon. What IS interesting is the way in which it is presented, even when it is endorsed. Heim mentions that the behavior (scapegoating) is the same as in other cultures, but the description of the scapegoating event is not. Normally, this kind of event would be presented in a type of mythical account that overlooks the violence within. Instead, “It is presented in a flat and quite nonmythical setting” (75). This particular type of scapegoating is only found twice in the Leviticus text. The remainder of the text focuses on animal sacrifices and particular commandments for the Israelites. This particular instance of sacrificial scapegoating is linked to the commandments given in the text (“blaspheming the Name”). These commandments are meant to stop the escalation of retributive violence, but when this fails (as in Lev. 24), “the community will have to resort to communal unity against a scapegoat to restore peace. The other major detailed focus on sacrificial scapegoating in Leviticus is found in the discussion about the Day of Atonement (Yom Kippur). This is actually where we get the term “scapegoat” in the first place. In this ritual, among other things, two goats are chosen to be sacrificed for the sins of the people of Israel. One’s blood is offered in the sanctuary while the other is used for the transference of the people’s guilt. After having the sins of the people symbolically placed upon this scapegoat, it was expelled to the desert (or a rugged cliff), sent away from the people, ridding them of their sins. Just like in the previous story, the community collectively centers its violence onto a single victim, which is charged with all of the sins of the community itself, thus ridding the community of its guilt. Heim notes, “What is striking about the ritual is not that it differs from [the scapegoating] model, but that it is so extraordinarily explicit in expressing the underlying dynamic” (77). Here we can see a subtle move in the text; although the text explicitly endorses scapegoating as useful and/or necessary, it also begins to make the victim ‘visible,’ thus working towards a move away from the effectiveness of scapegoating. Further, in other canonical books, we can see explicit references to the downfalls of sacrifice and scapegoating. More in number than the hairs of my head / are those who hate me without cause; / many are those who would destroy me, / my enemies who accuse me falsely. Is this not the scapegoating dynamic we see in the earlier texts, but reversed? The book of Job can be read as a kind of struggle for the soul of the biblical God, a trial as to whether this is a divinity of the classic, mythical, sacrificial sort, or something different (87). The prophets take this further, as many of them criticize the nation of Israel for giving itself to the sacrificial system but ignoring the God who set up those systems in the first place. Amos, Ezekiel, and Jeremiah all deal with this subject in detail, as God (through the prophet/writer) laments the festivals and sacrifices done in God’s name. Instead, God “desire[s] steadfast love and not sacrifice / the knowledge of God rather than burnt offerings” (Hos. 6:6). Finally, Heim spends a significant amount of time on the suffering servant passage in Isaiah 52:13-53-12. It may be helpful to read this passage, specifically with the scapegoating themes in mind that we have discussed. Heim quotes Gil Bailie in reference to the suffering servant passage: “The Suffering Servant Songs combine two insights: first, that the victim was innocent and his persecutors wrong, and second, that his victimization was socially beneficial and that his punishment brought the community peace” (98, emphasis mine). Setting aside the preconceived ideas we have about this particular passage as Christians, it is important to note that neither the author of the text nor God seem to endorse the use of scapegoating in this passage. They call it out for what it is – wrong. However, this does not mean it doesn’t have good results (namely, communal and divine reconciliation). Though God does not endorse the use of sacrifice, God is still able to use sacrifice to benefit the community. 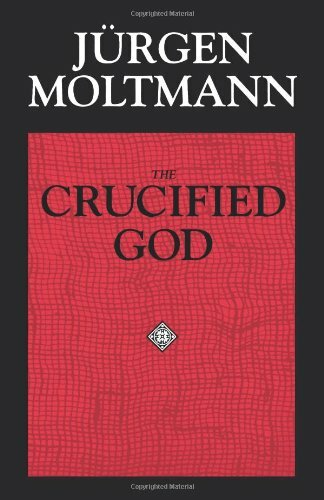 From here, Heim will move towards the crucifixion of Christ and how this is not only a continuation of the scapegoating theme, but virtually a cosmic critique of it. This entry was posted in Atonement, Book Review and tagged atonement, Christianity, Evangelical, hebrew scripture, mimetic theory, Religion, rene girard, s. mark heim, sacrifice, scapegoat, Theology on March 22, 2013 by Anonymous Theologian. 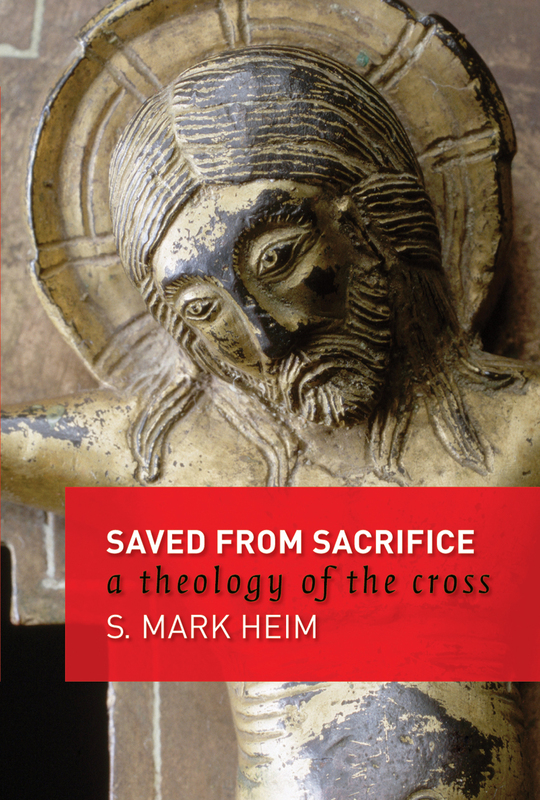 Our last post on S. Mark Heim’s Saved from Sacrifice focused on the four major ways the atonement has been understood by (western) Christians since the crucifixion itself. It is true that there have been more than simply four ways of understanding the atonement, but most (or all) of them fall within one of the four major categories (I found this diagram particularly helpful). Also, the introduction of the book ended with a basic understanding of the atonement from the Girardian point of view. If you missed it, click here. Today’s review portion will focus on chapters 1 & 2, and chapter 2 is the first chapter in part I (“Things Hidden from the Foundation of the World”) of Saved from Sacrifice. Chapter 1 begins with a more in-depth summary of penal substitution, particularly because – from my understanding – penal substitution and Girard’s mimetic/non-sacrificial atonement cannot co-exist. The trajectory of the book seems to indicate that, from the author’s viewpoint, penal substitution is no longer viable, and this newer theory can replace it. Penal substitution, as Heim says, can be summarized as follows: “The cross is a punishment for sin (hence penal). The punishment is applied not to a deserving guilty humanity (us) but to the innocent, divine Jesus (hence substitutionary). And the result is forgiveness, acceptance, and reconciliation between God and humanity (atonement)” (21). Penal substitution always trades in the language of sacrifice. – Most of us in the western world are both unfamiliar and uncomfortable with “sacrifice language,” and even sacrifice in general. We are far removed from the practice of sacrifice as some kind of “saving act.” It would have made sense for the NT writers to talk about Jesus’ death in terms of sacrifice, but it means little to us today. Often, Heim says we “[conjure] up some idea of sacrifice from this dim prior history, one that we can half-believe in long enough to attribute meaning to Christ’s death” (23). The cross has been a keystone of Christian anti-Semitism and anti-Judaism. – This is particularly true when we our atonement theology requires a divine victim for our salvation. Thinking of the crucifixion in this manner has historically led (and can lead) to the demonization of Jews. Our knowledge of world religions and mythology puts Jesus’ death in an unavoidably comparative context. 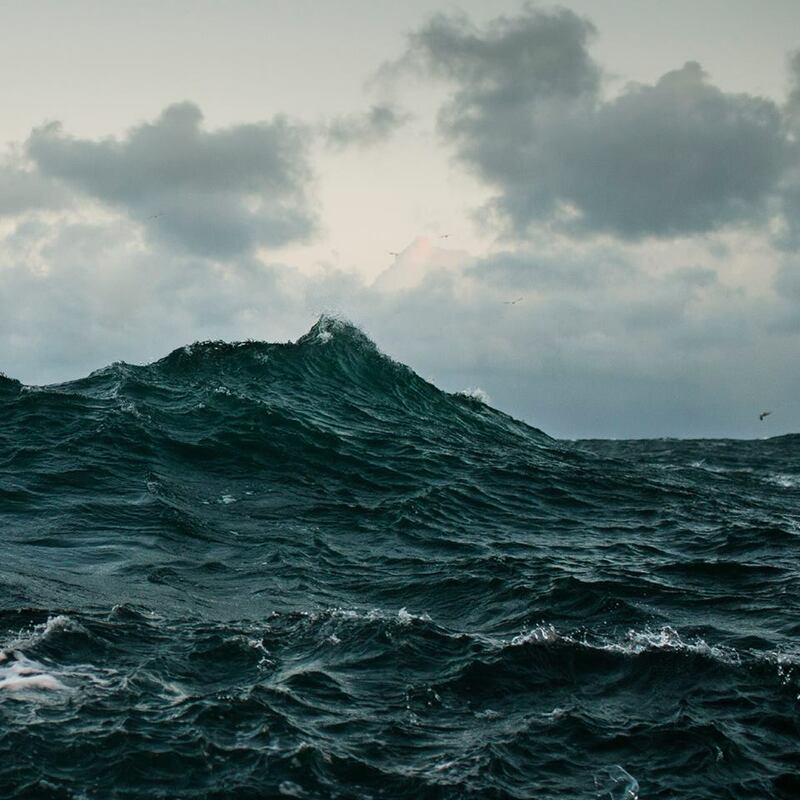 – We cannot deny that myths about dying and rising gods existed across human cultures. The gospels may have claimed Jesus’ death and resurrection was unique, but in what way? Penal substitution fails to answer this question, and (some would argue) may attempt to get some of the same morals across, but does so in a much more crude, violent manner. Traditional interpretations of the crucifixion are criticized for moral failings. – Personally, this is a common criticism of penal substitution I’ve heard from outside of the evangelical community. Many fail to understand the necessity of the death of God’s son just so God’s ‘justice’ can be fulfilled. Why must this be the case? The notion that God chose this particular way to reconcile Godself to humanity simply seems unnecessarily violent. And then, of course, if God had to do it this way, God is subservient to some ‘higher’ form justice. Either answer leaves some gaping holes. At this point, however, Heim makes a separate point by citing some anecdotes of human responses to the message of the crucifixion (even of the penal substitution kind) that do not respond violently. Suffice it to say that the author does not lay all of his evidence on the charge of violence against penal substitution. The fact of the matter is, humanity’s improper response to the crucifixion in any manner does not necessarily negate a particular theory’s truthfulness outright. If the work of the cross is a universal saving act, there must be something universally wrong in human life that is directly involved in Jesus’ death. But it must not be universally apparent, otherwise the crucifixion would be obvious good news rather than foolishness and a stumbling block (38). Being that the New Testament is bathed with the language of ‘sacrifice’ in reference to Jesus’ death, this means we need to take a hard look at (1) the meaning of ‘sacrifice’ itself across all human cultures, especially since it is common factor in all human cultures, and (2) what it is that makes Christianity unique in the history of sacrifice. In the first instance, as Heim stated in chapter 1, sacrifice is completely foreign to modern humans, and particularly westerners. While many theories abound as to why cultures participated in sacrifice, the fact remains that we know that it doesn’t actually do anything now. Unfortunately for us, however, “The biblical texts… are increasingly perplexing to us precisely because of their literal attention to sacrificial practices and their serious engagement with issues of sacrificial causality” (40). 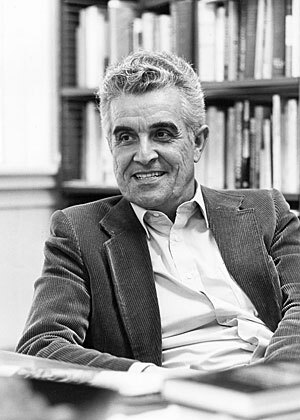 Once again, Girard comes into the picture to supply us with a theory (which he calls Mimetic Theory), not only about why sacrifice actually works, but also makes sense of the biblical texts about sacrifice (something Heim talks about in the next chapter) – and, eventually, the crucifixion. Basically, mimetic theory seems to be a kind of sociological expansion upon the theory of evolution. Heim states, “What distinguished emergent humans from other primates was an increased mental plasticity coupled with susceptibility to cultural formation, a combination that spurred an explosion beyond simple genetic collection” (41). In other words, humans seem to have the innate tendency to imitate the behavior of others as well as “shape our own inner life and consciousness on models we infer from others” (ibid.). However, this is not the only consequence of mimesis. Humans are also susceptible to desiring what we see others find desirable. This allows humans to create particularly intense communities in which ‘mimetic openness’ allows for creativity and innovation to flourish. Unfortunately, the human tendency for imitation also responds in the same manner to destructive dynamics. In other words, “Anger, suspicion, and fear ricochet quickly from one mind to another like light bouncing from mirror to mirror, and their power multiplies” (42). Further, violence (whether purposeful or accidental) begets violence. One person harms another, which leads that family to take revenge on the other, and so on. Without a cure, Girard says that human community can’t even hope to function. Sacrifice is the cure to this violent, mimetic problem. In particular, “Spontaneous and irrational collective violence rains down upon some distinctive person or minority in the group” (43). The person or group can be arbitrary, though it is common for one who is sacrificed to be seen as an outsider or is somehow marginal. And the even more unfortunate thing is that this type of sacrifice works. The sacrifice of the scapegoat actually staves off the building violence within the community due to several factors. Mostly, though, it works because the community is able to unite against a common enemy (either explicitly or implicitly) who is seen as at once evil (the cause of the initial problem) and supernatural (in that their death somehow ‘magically’ stopped the cycle of violence). Though we cannot go into much detail here, one final point needs to be made. Along with scapegoating, myth plays a large role in Girard’s theory of religion. Sacrifice and myth can be seen as two sides of the same coin: “Scapegoating is the event. Myth is the memory and the image of the event as perceived by those who carry it out” (52). Girard’s theory seems to indicate that scapegoating would have come first, as a remedy to violence that threatens to destroy the community, and myth would have come later to help explain why it is sacrifice works and to help propagate its future use. In the next chapter, Heim will turn specifically to the Hebrew scriptures, in hopes of making sense of the sacrificial content there as a foreshadowing of Jesus’ death as a non-violent atonement. This entry was posted in Atonement, Book Review and tagged atonement, crucifixion, mimetic theory, Religion, rene girard, s. mark heim, sacrifice, saved from sacrifice, scapegoat, Theology on March 13, 2013 by Anonymous Theologian. This post is a preface/intro to a series I’m starting on synthesizing the theory of evolution with Christianity. I plan on writing a post at least once a week on this topic (hopefully more, but we’ll see). I’m about to graduate with my B.A. in Theological Studies. I basically finished my final assignment this week, which means I have had time to do some reading that I actually want to do. My book list has at least 50 books on it, and that’s just ones I could think of off the top of my head. 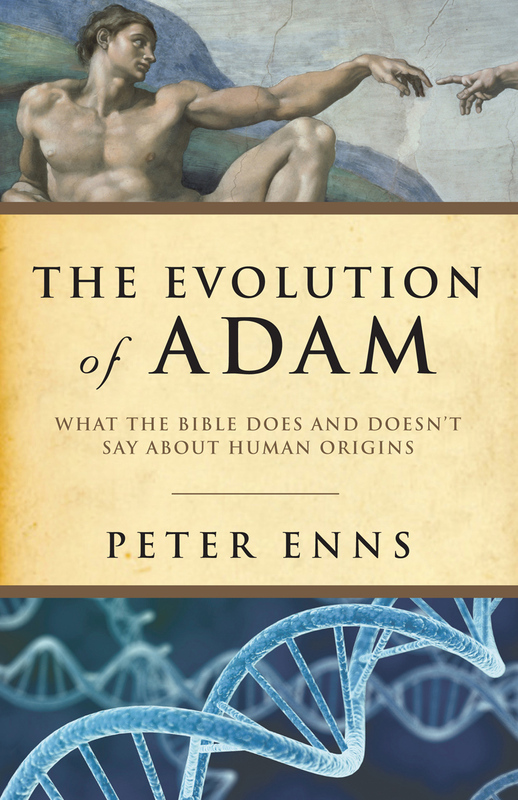 I was so excited to finally get started this week, and my first choice (since it was at the library) was Peter Enns’ The Evolution of Adam. While reading it, I was struck again and again by how much the acceptance of the reality of evolution will truly change a theological system if that system doesn’t allow for anything other than special creation and a historical Adam. The acceptance of the theory of evolution as true (which I do) is a step that takes serious consideration, especially for Evangelicals. (As an aside, I’m guessing the best way to classify myself at the moment is some kind of progressive [little e] evangelical… whatever that means.) Anyway, the point is, most of the Christians I am in contact with are Evangelicals in the strictly fundamental sense – for the most part. Of course, these aren’t the only theological areas evolution affects. It will, of course, also affect our understanding of the nature of God’s relationship to the universe, God’s character itself, the very being of God, and so on. However, this series’ focus will be on the two subjects outlined above. At the outset, I should also mention one other issue. This will probably have some kind of effect on how many of my readers view my understanding of the rest of the posts in this series, but it needs to be said. I do NOT affirm that Scripture is inerrant (and I’m a little iffy on infallibility as well, but I’m not sure that’s relevant). To be clear, I am not saying that I think Scripture is useless or simply another document that is inspired in the same way that Shakespeare or whatever is an “inspired” piece of work. Rather, I am strictly Neo-Orthodox in my understanding of Scripture. Karl Barth, the father of Neo-Orthodoxy probably spells out my view of Scripture best. He says that Scripture itself is not the Word of God, but the Word is an event, to which Scripture is a witness. And although the “witness is not absolutely identical with that which it witnesses,” it can still be trusted to convey the Word of God in some sense – even while we cannot necessarily trust it to always convey propositional, historical truth. The idea of the “Word of God” becomes pale and anemic when reduced to the idea of a factual description of historical events. The words of the Bible, wonderful as they often are, must not be allowed to stand in for God’s majestic Word, as if the words and phrases have been conferred with some sacred status and the phonetic patterns given divine power. All this to say, my view of Scripture may or may not be similar to yours. Nonetheless, approach this series with an open mind, and at least be willing to question some longstanding beliefs you might be holding. You wouldn’t want those to become idolatrous, would you? DISCLAIMER: My views are not the views of Southwestern Assemblies of God University. I in no way represent the views of the Assemblies of God or SAGU in this particular post or any posts or articles found on this blog. Karl Barth, “The Doctrine of the Word of God,” Church Dogmatics (Edinburgh: T. & T. Clark, 1956), 463. Peter Rollins, The Fidelity of Betrayal: Toward a Church Beyond Belief (Brewster, MA: Paraclete Press, 2008), 56. This entry was posted in Atonement, Christianity, Evolution, Original Sin and tagged atonement, Christianity, evolution and christianity, karl barth, nature of god, neo-orthodoxy, Original Sin, peter enns, Peter Rollins, Religion, the evolution of adam, Theology, theory of evolution on November 27, 2012 by Anonymous Theologian.